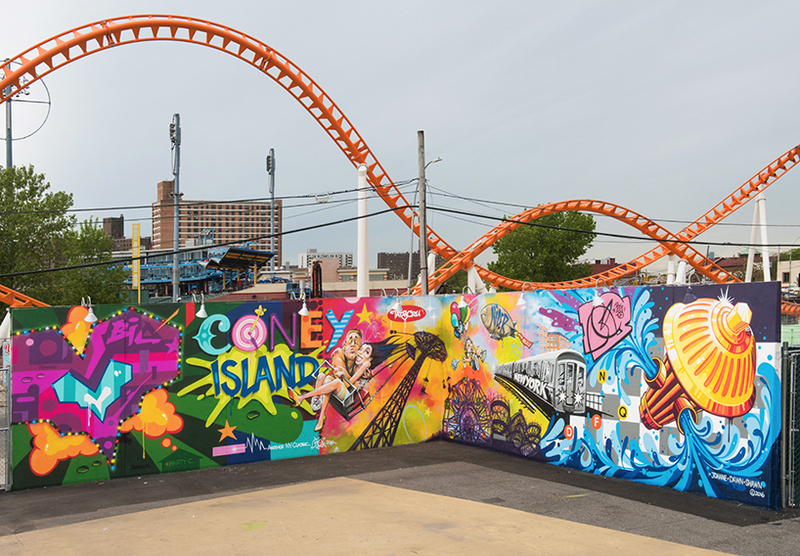 Visitors to Brooklyn, New York’s infamous Coney Island are in for an artistic treat this month, thanks to this year’s showing of the “Coney Art Walls” exhibit! 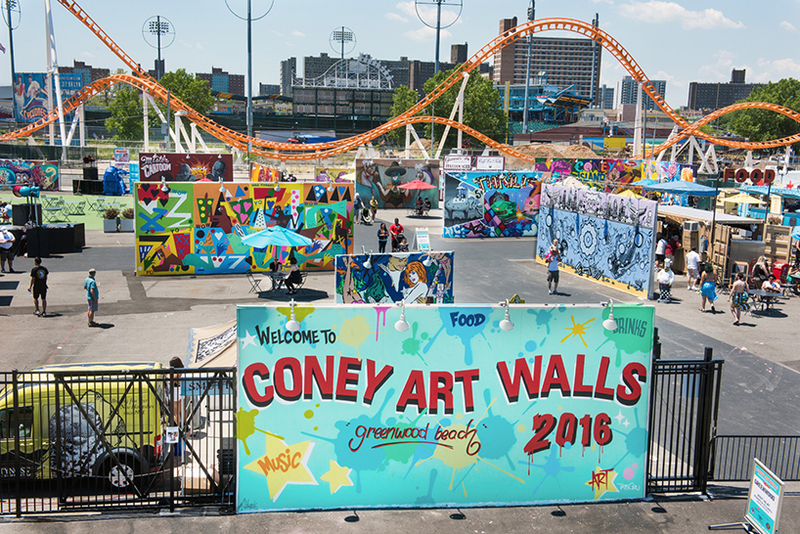 An annual art collection, the Coney Art Walls are put together and curated by Joseph J. Sitt and Jeffrey Deitch, and features work donated by artists from all over the world. 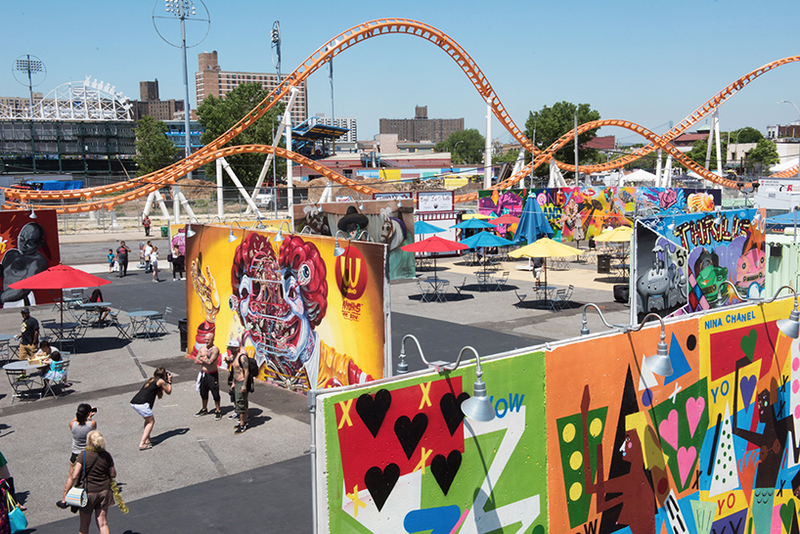 This year’s iteration of the Coney Art Walls featured work from artists like Tristan Eaton, D*Face, Daze, Mister Cartoon, Nychos, and many more, making it a must-see for any art fans in New York City. 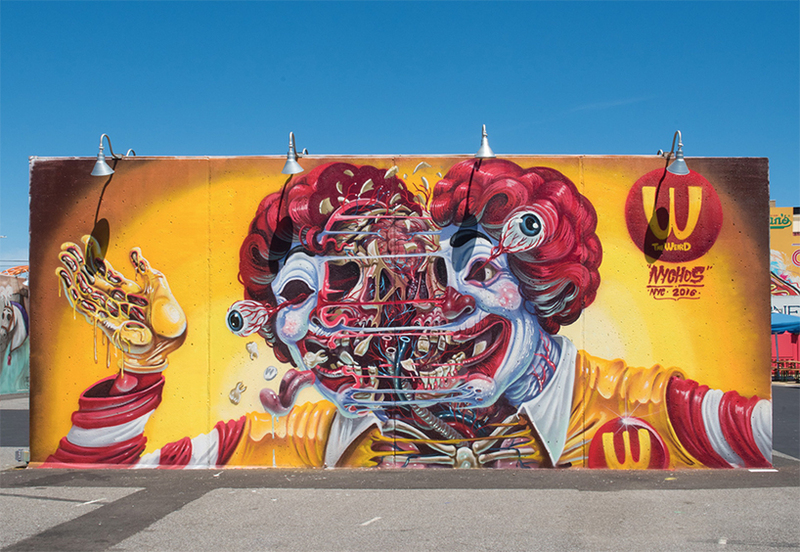 The exhibit will be open every day for the rest of the summer, which is lots of time to go check out some awesome artwork for yourself!